than locking them into restrictive allocation models. 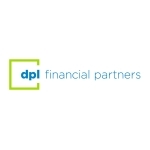 through DPL’s platform, please visit www.dplfp.com. educate Americans about the importance of protected lifetime income. the prospectuses carefully before investing or sending money. additional tax if withdrawn before age 59½. information regarding the annuitization of a contract. distributed by Jackson National Life Distributors LLC, member FINRA. annuities with similar features, benefits, limitations and charges. index-linked interest may not be suitable for everyone. index-linked interest (equity indexed and fixed annuities in Oregon). MarketProtector Advisory is not available in California.